If you're new to essential oils and want to try it out first without shelling out too much, then this product is for you. I'll cut to the chase and say that this essential oils diffuser is probably the best starter kit for EO newbies like myself. 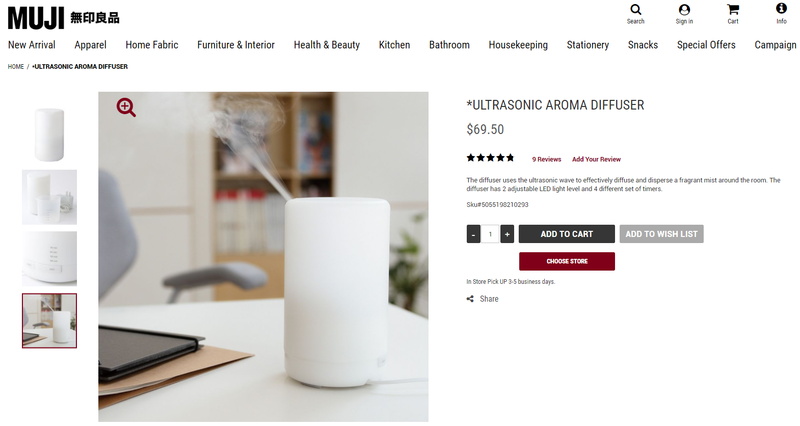 It's only ₱899 if you buy the diffuser and 5 essential oils as a bundle. Individually it's around ₱500 for the oils set and ₱600 for the diffuser. Just look around Shopee for Aroma Naturale diffuser. There's a similar diffuser from Muji that sells at a ridiculous price of ₱3,500. It would've been okay if it's bigger or something but what the heck, IT'S EXACLTY THE SAME. Same size, same light and mist settings, same buttons, same everything, except for the bottom part. What a shame right? So don't let yourself be scammed. I know there are tons of other diffusers out there but I chose this one majorly because it's cheap, looks simple and classic, and the branding is cute. Other diffusers have ugly light settings, lakas maka-cheap sorry haha, this one only has warm light in two modes. I know you can turn off the light but wala lang ayoko yung iba-iba yung kulay ew hahaha. The Premium Essential Oils set has 5 scents: Tea Tree, Eucalyptus, Peppermint, Lavender, and Lemongrass. They're 10ml each bottle. Again if you're starting out, this set is a good choice. EVERYTHING SMELLS SOOO GOOD. Good for small rooms only like the bathroom or if your bedroom is between 9-12sqm. That's pretty much it! It's a great product, I've been using it for more than a month and so far so good. I'm only in for the aromatherapy for now and not much for the ~healing~ properties of the oil but yeah maybe we'll get there someday? This tita is new to the EO realm.